So you're kicking around the idea of a vacation to Paradise? If you want a place to call home that's located near some well-known Paradise attractions such as MGM Grand Casino, Park Theater, and T-Mobile Arena, just go to Orbitz, choose your travel dates, and voilà! Review the list of hotels and other accommodations to identify those that are located near everything you want to see. 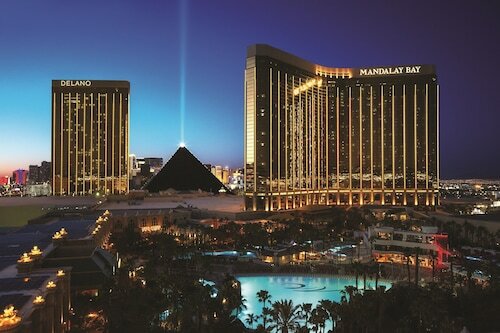 We make it easy to find a convenient flight to Las Vegas, NV (LAS-McCarran Intl. ), which is 0.8 mi (1.3 km) from the city center. Find your ideal flight in nothing flat by using the filters on our site to narrow down your search. Go for a swim when you stay at one of these Paradise properties, appreciated for their pools. What's the Weather Like in Paradise?